When you need to buy car spare parts, you have to pay attention to many things. Nowadays, we are not only interested in quality car spares when our car breakdows, but also in purchasing gadgets that allow a nicer and easier driving experience. 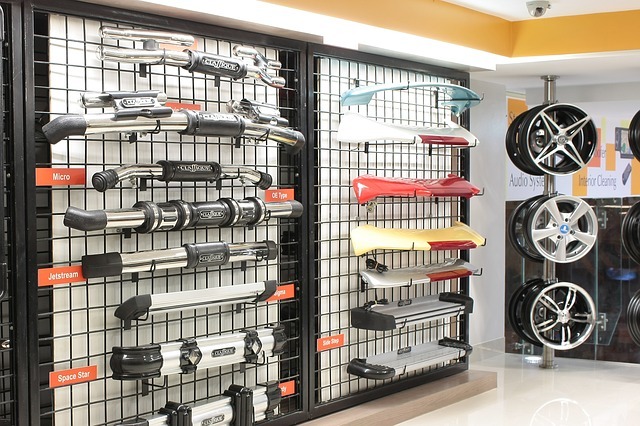 Whether you are looking for a car bumper, great car audio systems or awesomely useful car accessories for both exterior and car interior, Infoisinfo heps you to find the best options thanks to the best car accessories shops in Derby (Derbyshire). Have a look and treat your vehicle! If you are looking for something more than replacement wheels, we introduce you some of the 15 car gadgets that will improve your driving experience. Dashcam: people who loves driving use it to record it but its become exceptionally useful when any kind of accident happens. Bluetooth car kit: perfect for old car that doesn’t incorporate it itself. USB car charger: a phone running out of battery while traveling is not a problem any more. GPS tracker: you can connect it with your phone so that you know where your car is all the time. Drop stop: how annoying is to drop something between the seat and the door? Let’s stop the struggle. Mobile Wi-Fi hotspot for your car to keep connected everywhere. Blind spot mirrors: perfect to know when someone is in your blind spot. Where can I find the best car accessories shops in Derby (Derbyshire)? At Infoisinfo we always work hard to be able to show you where to buy or hire the best products and services all around Derby (Derbyshire). We know how much you care about saving and the maintenance of your vehicle. For this reason, we want to help you out when looking for parts and accessories for cars and getting the best price on auto parts. How? We’ve prepared a list of the best car accessories stores in Derby (Derbyshire) where you could buy from tyres and any other basic piece to performance car parts and the latest gadgets. It doesn’t matter whether you are looking for new car parts or you consider buying used body parts, in our directory you will find the best auto parts dealer either way. Contact details such as phone numbers, websites, address or opening times are provided, as well as comments and valuations from other buyers. If you find it useful, please do not hesitate to share your opinion too so it can help others.